Cherry Creek is one of the most well-known neighborhoods in Denver. 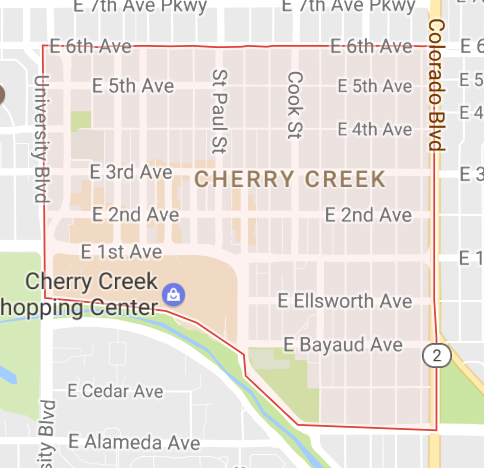 Located just five minutes from downtown, Cherry Creek is renowned for its premier shopping and dining. With over 320 independently-owned shops, galleries, restaurants, boutiques, and spas, Cherry Creek North spans over a 16-block radius: retail bliss for any shopper. But Cherry Creek is known for more than just its shopping and a place to wine and dine; it brings together some of the oldest homes in the city with many new developments. Named for Cherry Creek that runs along the south side of the neighborhood, the houses and apartments found in the neighborhood are some for the books. While many range in the millions, with the help from the right realtor (New Era preferably! ), you can find a house not at the top of your budget. So you want to shop? Look no further. You want a meal from a nationally ranked restaurant? Cherry Creek hosts many of those. You can also take a short drive to the Denver Botanic Gardens located just minutes away. Galleries are found throughout the neighborhood as well as many art sculptures so walking around the neighborhoods and into the shopping district is an entertaining experience. If you are in need of a bit of exercise for the day, rent a B-cycle or take your own bike out along the Cherry Creek Bike Path that runs all the way into downtown. Have the kids for the day? Head over to the Cherry Creek Mall and let the kids loose on the Rocky Mountain Play Park, an indoor playground featuring the characters of Looney Tunes. If your mom is in town for the week, maybe take her to one of the many spas for a day of rest and relaxation. When many people think of Cherry Creek, they think there are a lot of older people living there and you have to have a lot of money to be able to live there. I would just like to say, while property prices are on the higher side and there are a good number of retirees who have made Cherry Creek their home, the area also has a mix of younger generations, families, and affordable houses. 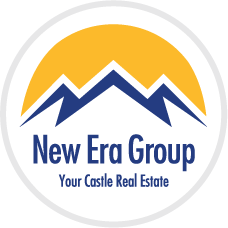 If you think this is an area you want to check out, make sure to give one of us a call at New Era Group and let us help you find the house/apartment of your dreams.